For our last Collaborative Learning session of 2016, East London cultural partners explored approaches to measuring impact across the arts with Seva Phillips and James Doeser. In the first of two sessions exploring Social Impact and Social Investment Funding, members of the Collaborative Learning Programme came together to consider ways that we can use the impact we make to generate more value and income, not only for our individual organisations but also collectively as a partnership. Seva Phillips from Nesta’s Arts Impact Fund, brought a wealth of experience to the conversation as Fund Manager for the UK’s only social investment fund dedicated to arts and culture. The Arts Investment Fund offers repayable finance to arts organisations that can show how they are sustainable, have great artistic ambitions and have a positive impact on society. Organisations receiving investment from the first two rounds of the fund, including Creative Schools partner Bow Arts Trust, have developed innovative models that demonstrate both artistic, social and financial returns on investment. Find a balance between numbers and stories. For the second half of the session writer and researcher James Doeser helped us explore the study and development of research around impact measurement in the arts. James works with King’s College London, The Arts Council, The Creative Industries Federation, UCL, National Campaign for the Arts, Contemporary Visual Arts Network, Creative Works London, The Audience Agency… the list goes on! For this session James focused particularly on insights around impact as the creator and editor of Culture Case for Cultural Institute at Kings College London. Culture Case offers accessible summaries from academic sources from around the world that can add value to the work of the cultural sector. AHRC Cultural Value project explores the value of the arts and culture to individuals and to society. ArtsEd Research is a clearinghouse of research on the outcomes of arts education for students and educators, both during and outside the school day (US focus). Arts Council Cultural Education Data Portal brings together and provides easy access to data on children and young people in England at a local authority, regional and national level. 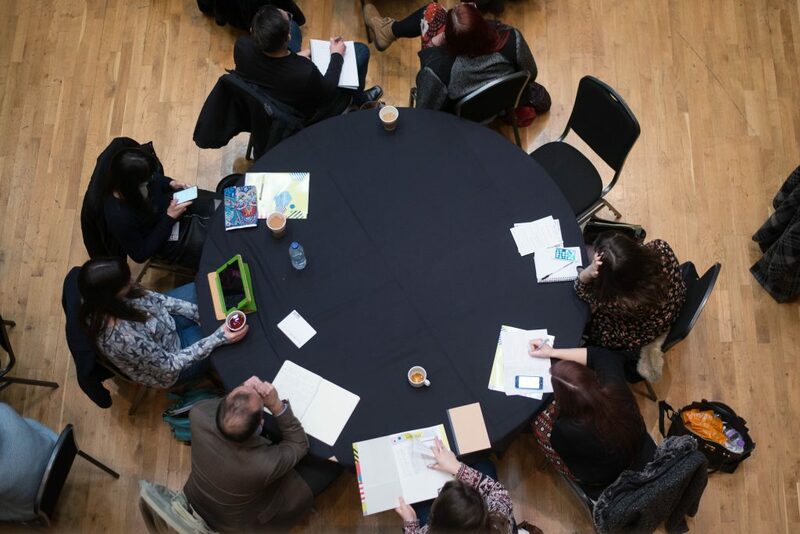 For partners working together through Creative Schools and other partnerships, the potential for generating collective value from our work with children and young people is an exciting area to be exploring together. The second Collaborative Learning session looking at Social Impact will build on this conversation with a focus on Social Investments and opportunities to engage with new funding organisations and models. Still wondering why measuring impact can be such a powerful tool? Check out this blog from Alan Pierce at the Centre for Youth Impact outlining the top 6 reasons for change-makers and explore the top 5 research findings from the Case for Cultural Learning with the Cultural Learning Alliance. Its been an incredible year of Collaborative Learning with 60+ cultural organisations from East London sharing experiences and practice through monthly sessions looking at ‘What Schools Want’, ‘Innovative Practice’, ‘Participation in Action’ and ‘The One About the Money’.